I donned comfortable, loose fitting clothes, and applied no make up or perfume. It was not that sort of a day, plus I thought it was more in keeping with hospital protocol. Mr Bonkers came with me to the hospital in Cannock, in case I felt a bit queer afterwards and not like driving myself back. We had about 20 minutes to kill in the waiting room, and sat staring at the soothing tank of tropical fish. The largest fish was headbutting a chunk of cucumber from one end of the tank to the other, occasionally pausing to munch on it, before briefly cleansing its palate with gravel from the bottom of the tank, and spitting it out again. 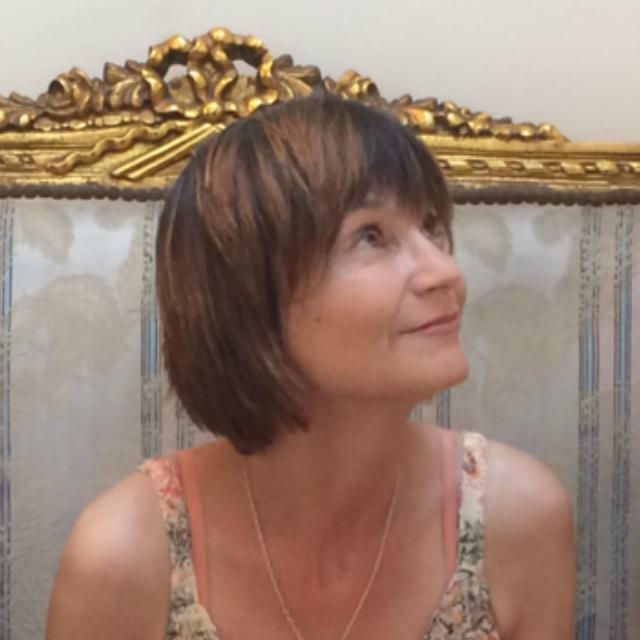 Then before I knew it I was called in, had put on one of those back to front gowns, and been taken aside by the consultant who explained the risks of the surgery, namely bleeding, infection, scarring and "distortion" of the body part in question. I signed the consent form, deliberately skipping the section on "next of kin", because he was sitting outside. Next up I was in an ante-room and on a trolley - or gurney, as they call it across the pond - which a nurse trundled the five paces to the operating theatre itself. I could have walked that far, I thought, even in my nervy state. 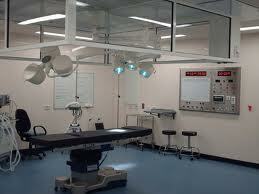 The operating theatre was a huge, freezing cold room with bright spotlights. At the sight of two nurses wearing masks I decided to close my eyes and keep them squeezed tightly shut until further notice. The consultant had an avuncular manner, and I didn't squeal as he administered the local anaesthetic. I didn't even feel the second dose he added for good measure, knowing that my only other experience of day surgery at a hospital had involved an injection which DIDN'T take - and the worst pain in my life. "We're doing quite well", he remarked jovially. "Except for the fact that we haven't actually started." "Do?" I asked, slightly startled at his interest. "Do you mean...like hobbies?" And so I told him........only to find that the consultant was fascinated by perfume too - well, the scientific side at least. 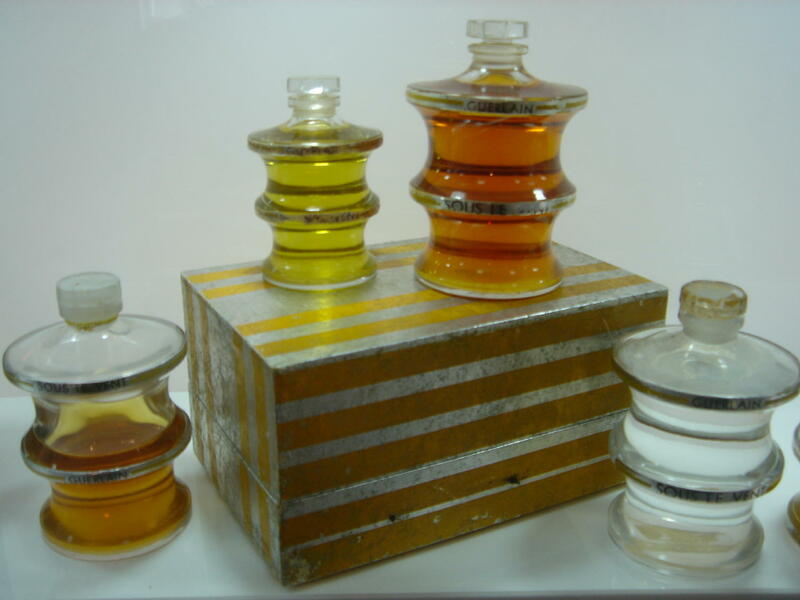 He explained that he needed to be quite well up in the formulation of perfumes because of the issue of contact dermatitis. He had even attended a talk given by a senior figure from Coty! "I gather perfumes are all synthetic now", he added after a slight pause (to re-thread the needle?) "You know, with none of these natural ingredients like musks and civet." I replied that naturals still had a place in modern perfumery, although they were very much in the minority these days - as far as typical mainstream fragrance went, anyway. I added that I didn't care for civet myself. I even mentioned my screen name on Basenotes! (VM I hate civet). I said I wrote a blog! He asked me the name of it. 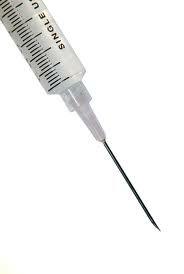 Needle in, needle out...."So do you like cologne then?" I inquired. "No, not really - my interest is mainly professional. I usually get my wife Trésor or Paris. 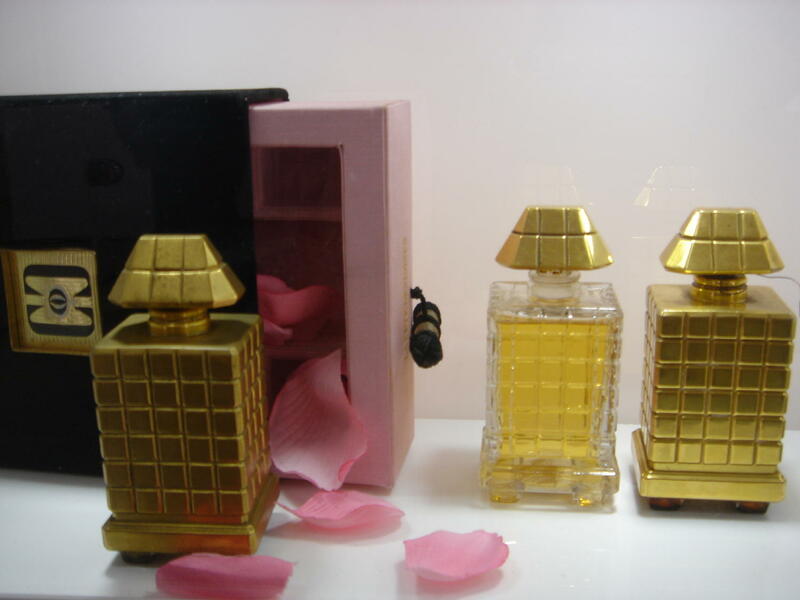 They're the only modern perfumes I like. I would describe them as floral and fruity, but most perfumes these days smell of fly spray to me." I told him that he was a man after my partner's heart - the chap sitting outside watching the fish - and that he had been known to use that very phrase to describe perfumes he found especially offensive. I went on to mention that I thought Paris and Trésor were both by the same perfumer, Sophia Grosjman, though I wouldn't swear to it. I admitted that I was not so well versed in the chemical names of ingredients, though I was aware of the broad issues surrounding oakmoss. "Well, well", he remarked. "I have finished now and I wish I had asked you about your hobbies sooner, as you brightened up no end!" The Perfume Diaries At Harrods: Part Two - "The Science Of Scent"
"The Science of Scent" talk was led by Will Andrews, an evaluator and member of the Fragrance Creation team at Procter & Gamble (which I always want to spell with two "o"s), with contributions from Jacques Huclier, perfumer with Givaudan, and his colleague Linda Harman, PR/Communication Manager at the company's UK office. It was a fact-filled, "behind the scenes" look at fragrance in all its aspects, from the psychology of scent and the physical mechanism by which we smell, to the sourcing of raw materials and the principle of the perfumery triangle, before culminating in a step by step account of the mechanics of fragrance development. Will Andrews opened the talk with a brief recap of his career in the perfume industry (he is a scientist with a degree in industrial design). His manner was confident, genial and upbeat, and I thought he would make a great motivational speaker. Only the flintiest of hearts could fail to be moved by his deeply felt passion for fragrance. The other cause of my distraction had to do with the water glasses provided for the speakers. These were the long stemmed tulip kind I associate exclusively with white wine, and I am afraid I spent a good couple of minutes puzzling over the exact fluid these glasses contained. It looked pretty transparent from where I was sitting, and logic told me that it could only be water, as that is customary on such occasions, but the long stemmed style troubled me. Was the design chosen to give the speakers the impression of wine drinking in terms of the physical sensation of fingers twined around the stem of the glass and lips pressed to the rim? Or is there genuinely a very pale shade of wine that could pass for water at 15 feet, and with a view partially blocked by a gentleman's shoulder? Various Italian varieties started to pop into my head, until I pulled myself together and refocused my mind on the matter in hand, which by this point was how our perfume preferences are established in childhood by good and bad associations with scent. There were titters of merriment as Will illustrated his point: if as a child you used to visit your grandmother every week for Sunday lunch and the conversation at table was very boring, you just might dislike rose scents today because they are inextricably bound up with your negative memories of your grandmother and the roses lining her garden path. In explaining the physiology of smell, we were treated to a slide of the inside of our olfactory bulb. I suspect it may have been magnified, as it reminded me a bit of those blow up shots of the germs that lurk on your chopping board - and in the kitchen sponge with which you notionally clean things. As well as little lumps there were wavy hair or cilia, which Will aptly likened to sea anemone swaying in a rock pool. He went on to explain the direct connection between our nasal receptors and the limbic system of the brain, which accounts for the strong emotions evoked by scent. There was a slide of some cute lion cubs, for whom the scent of a predator triggers a healthy fear response. We learnt how the brain tunes out to a fragrance it has smelt many times before, because it is a known quantity that is considered "safe". This is why people who wear a single signature scent are often unable to smell it on themselves, which may lead them to overapply it in a bid to catch a whiff of their own sillage. I have been in this very spot with a good friend and YSL Paris, who was oblivious to the rosy mushroom cloud that went before her, sometimes with a delay of several seconds. 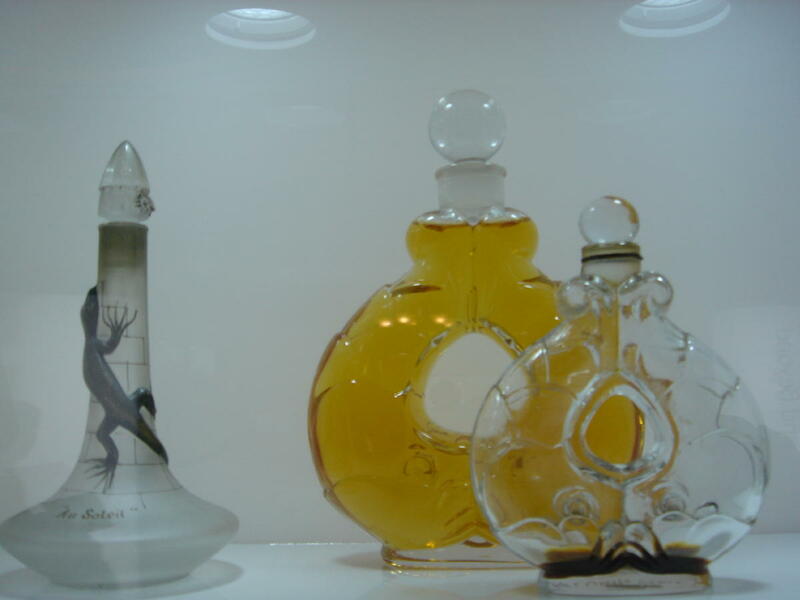 The next section of the talk focused on the chemical composition of scent: the numerous components which a single note may comprise, and how these ultimately derive from the periodic table. I dimly recall this chart from First Form chemistry, along with those little green volcanoes you could make with ammonium dichromate. I have written down that natural cinammon contains 60 "chemicals" and natural rose 300 "volatile compounds". These two terms may be interchangeable, but I am taking no chances and just going with the notebook. 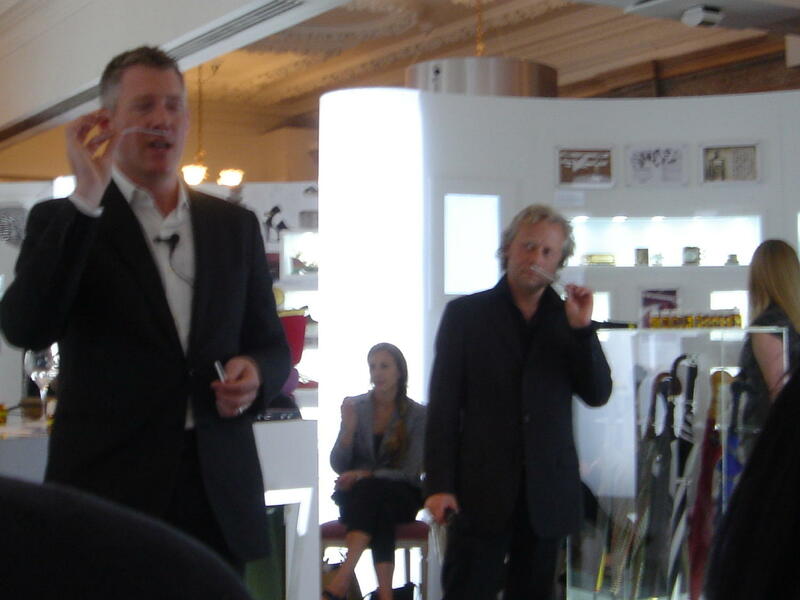 By this stage the talk had become a double act, with Jacques Huclier adding his comments about each ingredient under discussion. In order to gauge our reaction to a natural oil vs a synthetic material, "professional evaluation strips" were passed around bearing two interpretations of the rose note. 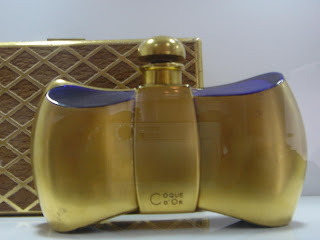 The first was earthy and metallic, and reminded me of The Different Company's Rose Poivrée. The second was powdery, fruity, also a bit metallic, and prettily rosy. It reminded me of Nahema crossed with Bvlgari Rose Essentielle. A show of hands indicated about a two thirds preference for the synthetic rose, myself included, at least initially - much later in the course of the discussion I resniffed the natural rose and preferred its darker take on the note. Another interesting fact we learnt about natural rose oil was that of its 300 volatile compounds, just FOUR comprise 90% of the odour we can smell, and our noses are actually capable of smelling a mere 16 out of the 300. That is such a poor ratio! If there is any truth in reincarnation, I shall do my best to come back in the next life as a bloodhound. But then again, if I was a dog I might be able to smell a lot more, but not care a stuff about what I am smelling. Someone upstairs has a funny sense of humour is all I can say. At this point Linda Harman stepped up (wearing an elegant cream and black version of the new "full skirt" - as seen in Mad Men), and delivered a mini-presentation on the "fragile supply chain" for perfumery raw materials, stressing the company's commitment to sustainability, as you would expect from a PR/Communication Manager! She touched on the dangers of fake ingredients and deforestation, and on the ethics of earmarking crops for perfumery materials rather than food. 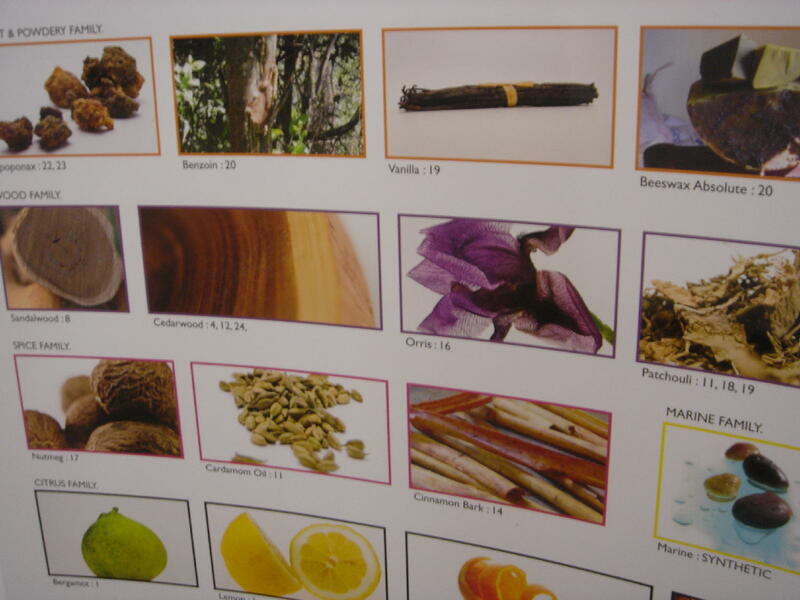 We were given a virtual tour of Givaudan's sources of sandalwood, tonka bean, benzoin and beeswax, and how these crops benefit local tribes from Venezuela to Laos. 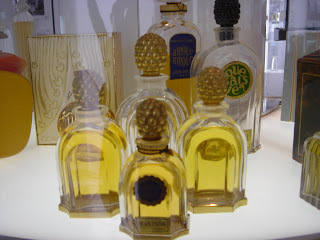 Next up was the perfumery triangle and how different combinations of notes create perfumes for every occasion and mood. Will compared the opening of a fragrance to a "scented handshake", on account of the fleeting but familiar scent of the top notes. This is the perfume's brief chance to win over the consumer, to say, as Jacques charmingly put it: "Hello, you know me, we're friendly!" Jacques Huclier spoke briefly about his 20 year career as a perfumer, going back to his college studies in Versailles, where he trained his nose to recognise 500 raw materials (c50 natural and c450 synthetic). Today, this total stands at about 1000, of which about 150 are in constant use. He is the nose behind scents such as Coty's Vanilla Musk, Thierry Mugler A*Men, Anna Sui and Nina Ricci's latest release, Ricci Ricci. "There is no simple universal measure of odour." "There is no specific language of odour." Yes, indeed - that's precisely why we have Luca Turin and his star rating system, and his "lemon juice in a paper cut"-style metaphors. With which we will often disagree. It may also be part of the reason why advertising campaigns for new fragrances don't tend to tell you what a perfume smells like, because there could never be a consensus. I wouldn't mind a bit of a clue though... you know, like does it have apple in it?, that sort of thing. I had always assumed that this reticence was because new mainstream releases were primarily about the promotion of the brand, with the perfume playing second fiddle. I do agree with Will's statement: "You need a brand to be able to connect with the fragrance". I have that manufacturer's sample I got as an extra in a swap which just says "Aromatic Chypre" on it, though I have since been informed that it is in fact a scent by Pecksniff's. 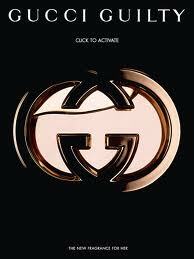 Without the "aura" and cachet of a brand, I wasn't at all drawn to it, I'll be honest. I guess it is all about balance. Mystique and an air of luxury are part of the magic, the dream the consumer wants to buy into, to which I am no exception. The magic-making machine only comes off the rails in my view when the fashion houses go totally overboard and focus on style at the expense of substance, on pyrotechnics and special effects (to take the film production analogy and run with it), rather than a good story. "A fur coat and no knickers" scent, as it were. 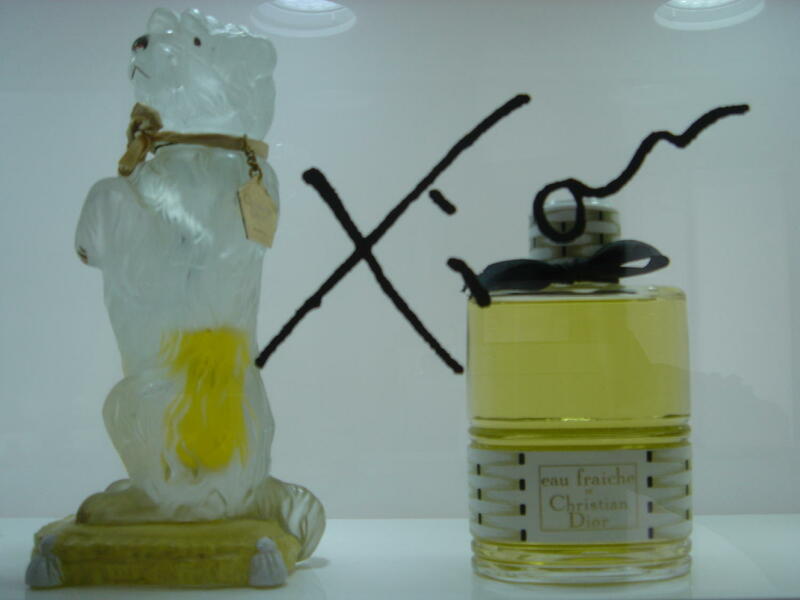 Will described commercial fragrance as the "scented image of a brand", which (if I remember rightly) he considers harder to create than pure "art", where the perfumer's scope - and maybe also budget? 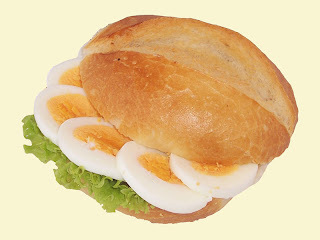 - is less constrained, in the sense of having a specific brief. 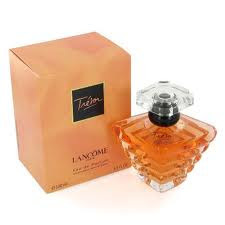 I suppose that, given the many scent releases in each brand stable, the skill of the commercial perfumer is about delivering a series of scented images, all capturing a different facet of the brand, but all recognisably Dolce & Gabbana or Bvlgari etc. We had a sniff of a couple of ouds Katie was wearing, and though oud-avoidance is my default stance, I can honestly say that both of these scents smelt nice on her. Katie clearly has oud-muting skin. This led on to a quick discussion about "skin physics" - we were fortunate to have a physicist on hand to consult (ie Farah!) 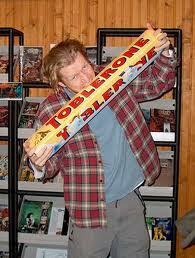 - which segued into the topic of "sensualist geeks", a term coined by Angela of NST. Suddenly, it looked as though the talk was about to start, whereupon Katie rejoined her friend / "husb"? (I was too far away to assess freckle coverage and make a positive ID) at the other side of the room, and headed out. Unexpectedly, the journey home turned into a bit of a Bonkers Rail Trip, but not even an hour and a half's delay due to signalling problems AND a suspect package could spoil my enjoyment of a uniquely memorable evening. Photos are all my own (with permission from the organisers). Will Andrews is pictured to the left of the shot at the top of the post, Jacques Huclier to the right. Having nearly completed my current project, on a last minute whim I decided to go down to London yesterday, to look around The Perfume Diaries exhibition at Harrods and catch one of the few remaining evening events which have been running in tandem. The one I attended, "The Science of Scent", along with a brief encounter with Katie Puckrik(! ), will be featured in a separate post. 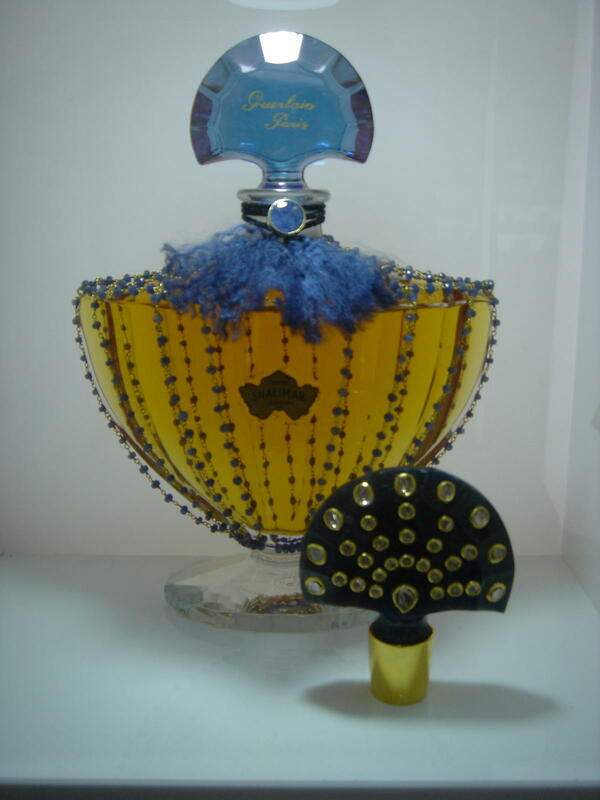 In advance of the trip, I had read Nina's post on Now Smell This about the House of Guerlain event a couple of weeks ago, and was mindful of observing the implicit dress code. Nina had counselled "no denim" and "good earrings", and her vignette of the audience: "Lots of beautiful people, amazing shoes, Chanel handbags, men in makeup..." told me all I needed to know about the degree of sartorial effort demanded by the occasion. Given that the most prestigious setting for an evening out in my town is a Pizza Express in a former Nat West bank, an acute wardrobe crisis promptly ensued. As is customary on such occasions, three possible outfits were submitted for Mr Bonkers' approval, and a grey linen shift dress swiftly chosen. In the spirit of full disclosure, the frock in question was a bargain in the Kookai closing down sale in Chester, moreover I have taken to deliberately wearing it backwards, as the official neckline is unflatteringly high and the back disconcertingly low. I knew I ran the risk that eagle-eyed delegates might spot the pockets facing round the wrong way on my backside, but I was counting on the distracting effect of the bright green chiffony cardigan I wore on my top half. Perhaps if more of Kookai's customers had taken the initiative of wearing its garments in eccentricly innovative ways, the store might still be trading. At lunchtime Mr Bonkers ran me to the station, and during the two and a half hour journey to Euston it became rapidly clear to me that linen and long journeys do not mix. As well as saying: "Hand wash with a gentle swishing motion", the care instructions should read: "Do not wear for extended periods" and "On no account sit". After a quick foray into Zara to change some trousers bought in Germany the other week, I arrived on the fourth floor of Harrods sweaty, crumpled, travel-worn, and encumbered with bags and sundry paraphernalia (camera, notebook, water bottle, spare tights, new Zara trousers, copy of the Evening Standard, exhibition programme etc). And already, a good hour and a half before the event was slated to start, people were starting to foregather, and one quick scan of the room was enough to confirm that the effort spent on my outfit selection was deeply warranted, even if the execution fell short of the mark. I bet half the room had only toddled round the corner from Belgravia and Beauchamp Place, instead of sitting scrunched up all afternoon in a CrossCountry train. Yes, many of the audience who were now filing in thick and fast - and laying claim to the perspex chairs with upmarket carrier bags - exuded an air of wealth and self-assurance that is unique to the capital. There were patrician-looking men with aquiline noses and polished brogues, and their youthful counterparts in dark suits, with slicked back hair and oversized geek glasses. One young woman wore a clinging black sheath dress with a zip that ran the full length of her back, while others favoured tailored skirt suits in striking monochrome or jewel colours. 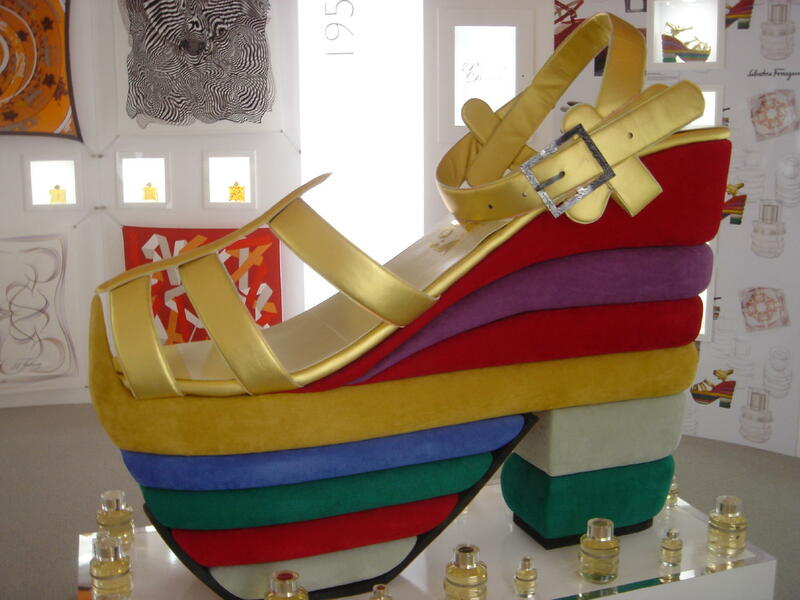 Precipitous shoe boots and stilettos completed the look. However, I was pleased to spot a smattering of seemingly "ordinary people" like me, who had made a bit of an effort - a smart blouse here, a dressy necklace there - but who didn't look like typical Harrods customers, let alone people for whom it is their "corner shop". I imagined that some of the audience might work in retail, advertising or PR. 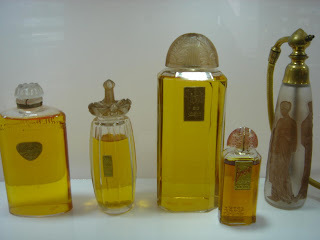 Others may have been perfumers themselves, representatives of trade associations or industry insiders of some kind. There may well have been a handful of perfumistas from the same blogs I follow, to whom I could perhaps have put a name if not a face. Others might have been beauty journalists or bloggers. Some may have been consumers who liked perfume well enough, but no more or less than handbags or scarves, and who were just curious to learn more about how it is made. I found myself wishing that the programme contained a photograph of the audience, with one of those white silhouette diagrams next to it, with each person-shaped blob numbered and identified in the key below. You know, like in the Sunday supplements when they do a feature on "Fifteen Up And Coming Young British Architects" or "Who's Who in Independent Film Making Today". After bagging a couple of seats for fellow fumehead Farah and myself, using some of my more bothersome belongings, I wandered round the exhibtion, in so far as the growing and rather noisy throng of people permitted. It was jolly hard to juggle camera, camera case, pen, notebook and handbag-with-important-valuables-in-it - looking back, the thought of someone harbouring pilfering designs on my handbag seems faintly absurd - so after a while I gave up on the note-taking and concentrated on the photography, even though I knew that I would never remember what was what afterwards. 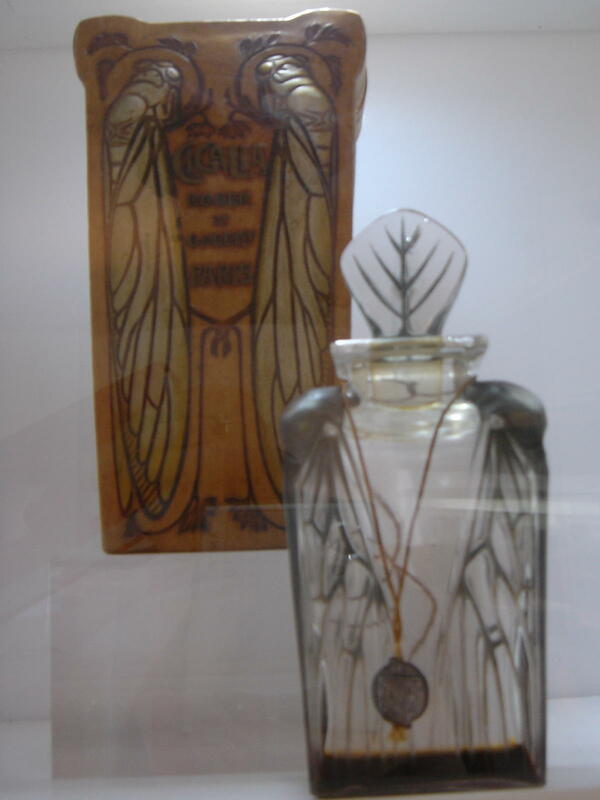 By way of background, the idea of a perfumery exhibition was the brainchild of Emma Jayne Hockley, Perfumery and Cosmetics Buyer at Harrods. 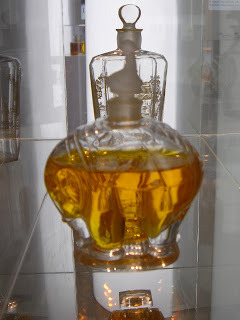 She chatted it through with Roja Dove, whose book "The Essence of Perfume" has already documented the socio-economic evolution of fragrance in print, and together they came up with a way to show "the chronological progression of scent in an exhibition that wouldn't be staid or museumlike." 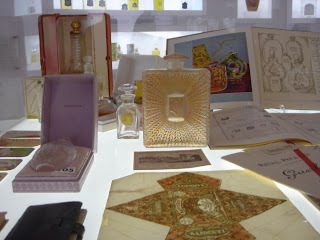 The Perfume Diaries start with a display devoted to the raw materials used in fragrance and how they are sourced, together with an explanation of the perfumery triangle. The remaining displays chronicle the history of perfumery, bottle making and advertising from the 1800s to the present day. 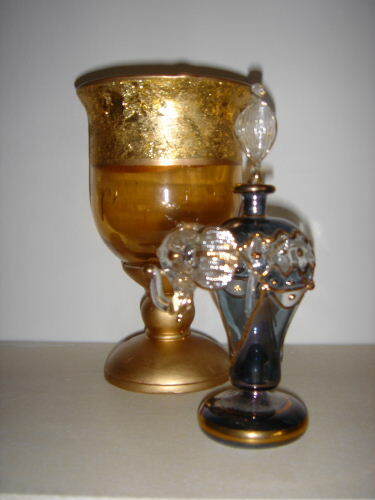 At intervals are little smelling stations, with frosted glass stoppers impregnated with different scents: the first with raw materials, the others with famous fragrances such as Bandit, Jicky and No 5, Nuit de Longchamps, Shalimar and Je Reviens. 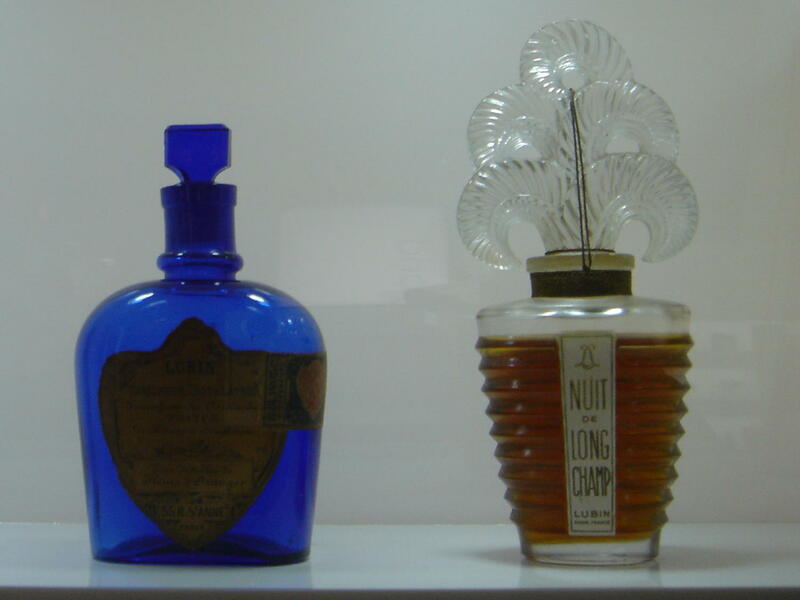 The most iconic scents and bottle styles are given particular prominence, as Emma Jayne Hockley explains: "The fragrances featured in the exhibition have been selected for their impact on the perfume industry - perhaps for a groundbreaking and influential scent, an original flacon design or a shocking advertising campaign. Many are enduring classics that will never be forgotten and, indeed, some remain bestsellers to this day." 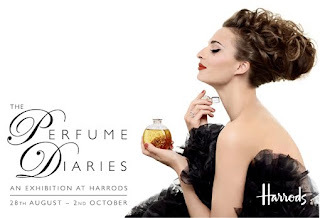 "My hope is that The Perfume Diaries makes you lose your soul to the beauty and creativity that is the world of perfumery." For myself, I am already sold on the beauty of perfumery, so in that sense he is preaching to the converted. However, I have never before seen so many exquisite bottles gathered together in one place. Some were sourced from Harrods' "brand partners", some from Roja Dove's private collection - there isn't one I wouldn't love to take home and treat with the reverence accorded to a sacred object. Roger & Gallet is a well known brand of toiletries comprising perfumes, "fragrant water", solid and liquid soaps, body lotion, hand cream, shower and shaving gels, and scented candles. Ever since I was a child, back in the distant heyday of Bronnley lemon soap, Baededas bubble bath and Yardley talc, Roger & Gallet soaps exuded an air of luxury and were the ultimate aspirational gift. 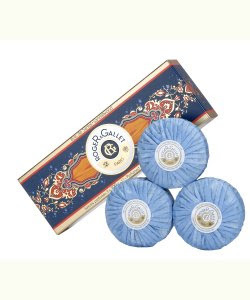 Today I would probably accord that status to small leather goods from Aspinal or a silver locket from Penhaligon's, however, I would still place Roger & Gallet solid soaps pretty high in the gift list pecking order. Curiously, I don't feel the same about the other products in the range, least of all the perfumes. This may be due to the fact that they are extensively stocked in my local department store, which I regard as the kiss of death to all things fashionable and in good taste. To my mind, the other problem with the brand is that it has wide distribution in pharmacies, where it takes its chances alongside the depilatory creams, lip salve and dental floss. 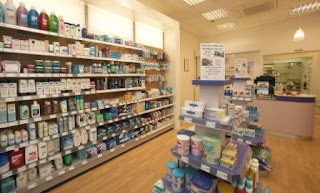 Ah, I hear you say, but the perfumes in Boots also live cheek by jowl next to a motley assortment of corn plasters, Frizz-ease and cotton wool balls, so is the fragrance section of Boots also to be written off on account of its chemist-y contiguity? No indeed, for the perfume counter in Boots is big enough to square up to the rest of the store and its array of glamorous and not-so-glamorous medicaments and toiletry staples. Bois de Santal (Sandalwood) is my personal favourite. Many perfumistas are on a permanent quest to find the ultimate sandalwood fragrance. I believe I have found it in Damien Bash Lucifer No 3 - or I have until something better comes along - which I doubt it will. But for anyone still out there chasing their HGSS (Holy Grail Sandalwood Scent), there is a lot to be said for cutting your losses, aborting the quest - Damien Bash has discontinued its perfumes anyway - and sniffing this soap instead. For Roger & Gallet is without question the ne plus ultra of sandalwood soaps - and I speak from a position of some authority, as we are a two brand sandalwood soap household, the other make being Taylor's of London. Taylor's is also round, and teasingly wrapped in that familiar ruched paper spiral, secured by a central circular label. Moreover it does smell somewhat of sandalwood - admittedly, more when it was new - for the scent seems to have faded in use. Now my special bond with this soap may be enhanced by associations with someone from my past. 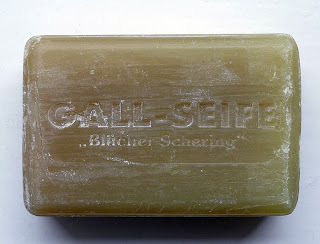 I don't wish to overplay this connection, because he also used another soap from the R & G range which didn't move me especially, from which I deduce that the primary appeal remains the sandalwood itself. Mr Bonkers, meanwhile, has a much more matter of fact approach to soap, and has never to my knowledge cared for a specific soap fragrance, let alone been bowled over by its smoulder. His main requirement of a bar of soap is that it should be free of particulates (petals, lavender sprigs, poppy seeds and other "encrustacea"), not smell too "poncy" (frangipani, lily of the valley, magnolia, rose) or too "weird" (hemp, black pepper, tar, algae, olive oil, also anything dark and inherently sinister, not forgetting bile - see photo below), and most importantly that it should produce a good lather. I agree with him about the particulates, and my other two bêtes noires are strongly scented soaps of any kind, and ones that either crack, or conversely, turn to mush. For although I may reserve the right to turn to mush emotionally when sniffing this transcendental rendition of the sandalwood note, it is imperative that the soap itself stays firm, right down to the last little sliver...Which this bar of Roger & Gallet has every chance of doing, since it has never been in contact with water, and only briefly came out of its handy plastic carrying case long enough for me to write this post. 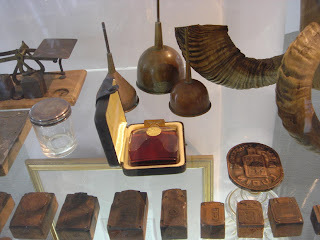 Photo of Roger & Gallet soap from garden.co.uk, photo of a chemist from chemistanddruggist.co.uk, photo of Taylor's soap from the company's website, photo of gall soap from Wikimedia Commons. Shortly after my visitors left yesterday, my main PC suddenly gave up the ghost, the apparent victim of "hard drive failure". As I type, it is hooked up to the computer repair shop equivalent of a dialysis machine, where valiant technicians are endeavouring to salvage the contents from just before the crash, including that day's work. 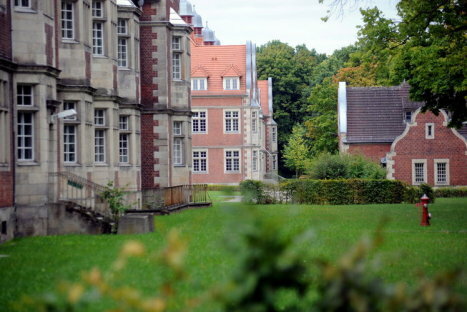 To be honest, the perfume aspects of the German trip do not deserve the build up I may have inadvertently given them by constantly referring to their deferral! 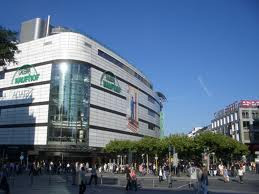 And they fall into two parts, basically: the duty free shops on the outward and return legs of the journey, and a handful of stores in downtown Frankfurt. To take the duty free shops first (at Birmingham and Berlin Schoenefeld airports), I always look forward to trying the latest releases in these, indeed I expect it to be the absolute highlight of that tediously protracted "Wait in Lounge" period, which is otherwise spent mindlessly staring at shelves of miniature travel toiletries in Boots, buying unsuitable hair bobbles in Claire's Accessories, or drinking weak tea from oversized cups in Costa Coffee. I try to avoid Wetherspoons and faux Irish pubs on such occasions, for they are usually packed out with holiday makers whose flight to Monastir has been put back five hours, and who have been necking lager solidly since 7.30am. But the duty frees at both ends of my journey were even more disappointing than usual - so much so that I only applied two scents on skin at Birmingham (Gucci Guilty and Gucci pour homme II) and NONE at Berlin. Admittedly I was feeling pretty whacked and zombie-like by the end of the week, but I would have expected some new or merely untried scent to have caught my eye. 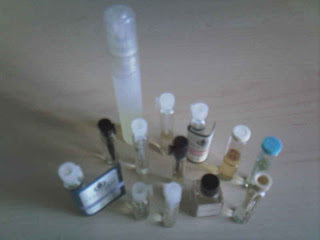 Here are the notes at last: "mandarin, pink pepper, peach, lilac, geranium, amber, and patchouli." 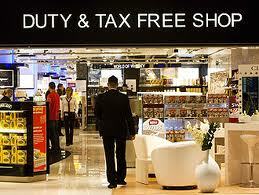 So...I am coming to the reluctant conclusion that from now on, as far as perfume is concerned, duty free shops will continue to be a huge anti-climax, such that I really should not get my hopes up every time I fly somewhere. They mostly carry mainstream lines and "promote" (not that I saw true bargains in either) the latest Calvin Klein or D & G over the classic houses like Chanel or Hermes. A "lowest common denominator" approach was even more apparent in Ryanair's on-board fragrance selection, which was dominated by the likes of Kylie, J-Lo, Beyonce and SJP. 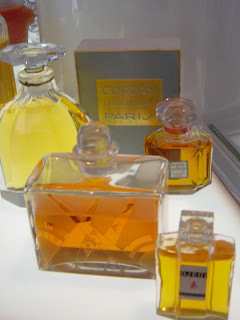 In fact, it may not be an overstatement to say that duty free fragrances are fast becoming a microcosm of all that I find depressing about the perfume industry today. That said, they are still THE place to go for boxes of miniature Lindt squares and giant Toblerones the size of iron girders - but even these come at a price... for "duty free" doesn't usually mean cheap in my experience. 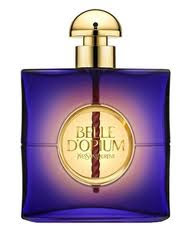 The two scents I tried on skin were JO MALONE PEAR & FREESIA and the relatively new Opium flanker, BELLE D'OPUM. I had been eagerly awaiting the new Jo Malone all summer - not that I am a fan of pear, particularly, if anything quite the contrary - but as the owner of four Jo Malone scents (just pipping Penhaligon's in the "most full bottles from a single house" stakes - I have three Penhaligon's), I am always interested in - and even a little excited by - their latest launches. Curiously, the Jo Malone concession was in the largest of the branches of Douglas I visited, and the sales assistant was both striking looking and exceptionally tall - well over 6ft, at a guess - with a very pale complexion and dyed black hair. She sprayed Pear & Freesia liberally on the prime skin site I had reserved for the purpose, then to my surprise proceeded to pat the perfume thoroughly into my wrist, even though I thought that any kind of rubbing of scent into skin was frowned upon. Perhaps she had my number as a non-pear lover, and wanted to hurry the scent along to a later stage of its development. If that was the aim it didn't work, for the opening still smelt very noticeably of pear to me. 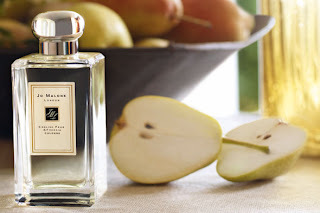 There is a much more positive review of this scent on The Scented Salamander here, but I am afraid Pear & Freesia reminded me of an upmarket and more natural smelling take on Armani Idole. In a word, it was too loud, which is not a quality I usually associate with Jo Malone scents, though come to think of it, I gave away my bottles of Nectarine Blossom & Honey and Vintage Gardenia for this very reason! Moments after applying Pear & Freesia, the SA was already suggesting layering options, and we experimented with Black Vetyver Cafe, which was pretty nice, though she also recommended Pomegranate Noir and Nutmeg & Ginger. 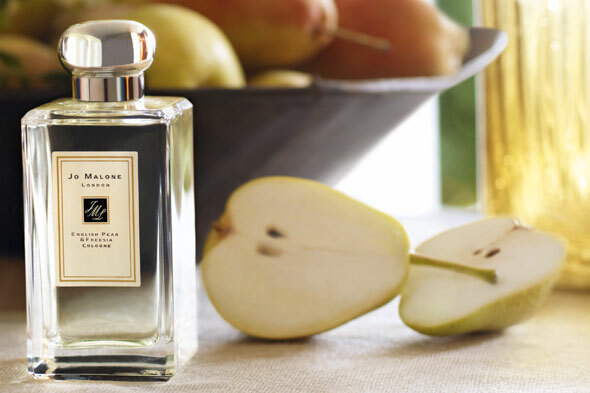 Now I know Jo Malone is a line which lends itself to layering, but part of me is always just a little bit suspicious that this may be a way to disguise the fact that a given scent doesn't stand up on its own merits...and to be honest, Pear & Freesia may well smell better toned down by another, more astringent, fragrance from the line. So that was another little anti-climax. More to my taste, though not exactly groundbreaking, was Belle d'Opium, of which an otherwise faintly hostile SA in one of the department stores actually volunteered a sample, the only one I scored in fact! In reviewing this scent, Denyse of Graindemusc wrote: "Welcome to Blandland", and dubbed Belle d'Opium "Yves Saint Laurent in the Facebook era" - and I know what she means. 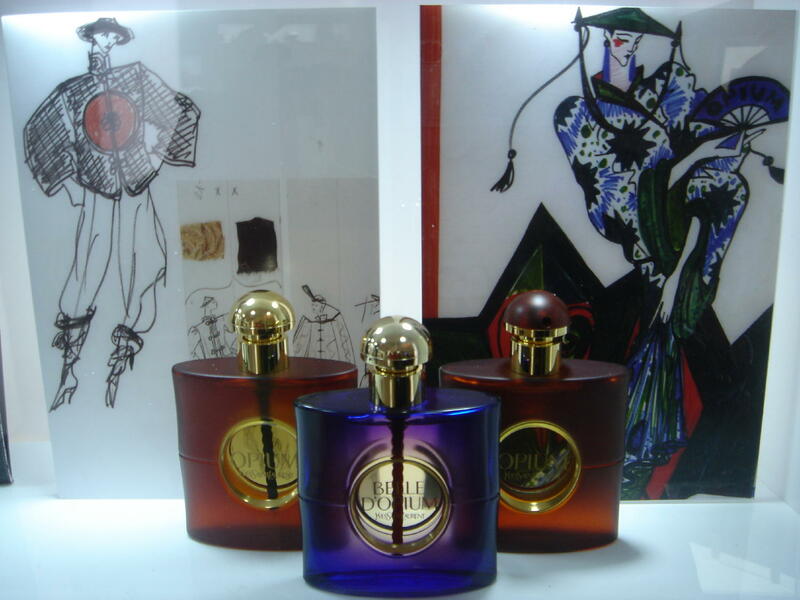 For Belle d'Opium has no more in common with Opium than Parisienne has with Paris - even less, maybe. When I first sniffed it in store, I remarked to the SA: "Oh, it's a bit woody." "No", came the tart correction: "it's a lily scent". "Is there incense in there at all?" I countered. 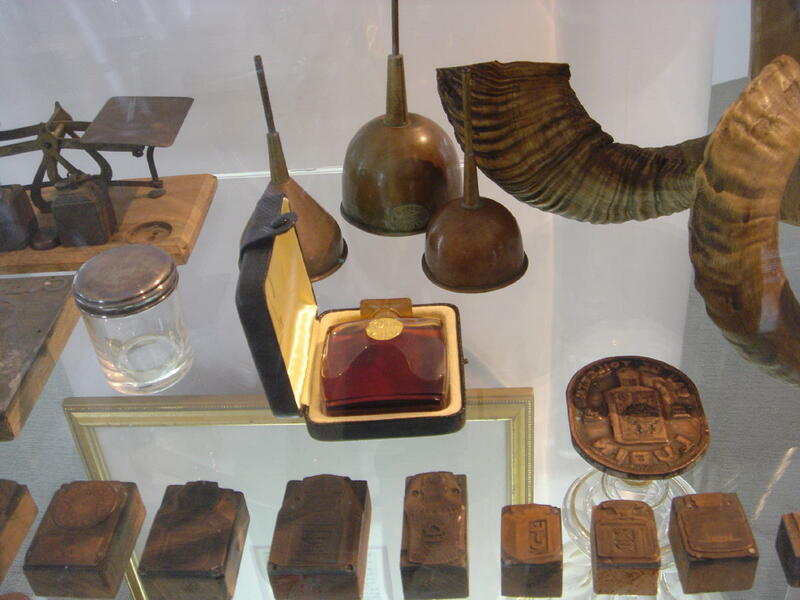 After a comprehensive rummage in her drawer of sales presenters, which failed to turn up the Belle d'Opium note list, the SA conceded through gritted teeth: "Yes, there is a bit of incense, but as I say it is a lily scent." Now, I can detect Casablanca lilies if I put my mind to it, but this is a rather fuzzy, amorphous scent overall, and as with Gucci Guilty, I was hard pushed to pick out its different facets. 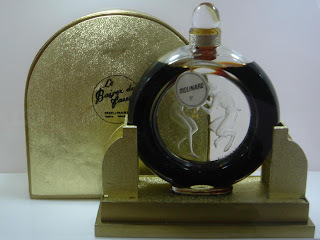 I see that Alberto Morillas co-created Belle d'Opium along with Honorine Blanc of Firmenich, and while I am not familiar with the latter's work, Morillas I associate with a number of indistinct, fuzzy scents, such as Armani She White, Bvlgari Omnia Crystalline and Kenzo Flower Oriental. I have since managed to find the notes on Osmoz, though I see that the card with the sample also lists Casablanca lilies, incense and nargileh accord, which I am guessing is related to the tobacco note and hookah accord below! I wouldn't have thought Casablanca lilies could reasonably be combined with incense and tobacco, but the white flowers do seem to meld into the smoky notes surprisingly well. The more I sample this, the more it grows on me, even though I belong to the original Opium generation rather than the young target audience at which this radically reworked flanker is aimed! Otto Kern Egoluxe (quite liked this but don't ask me why : - ) Have since clocked that its base comprises sandalwood, musk, vanilla & patchouli, for which I am always a sucker. 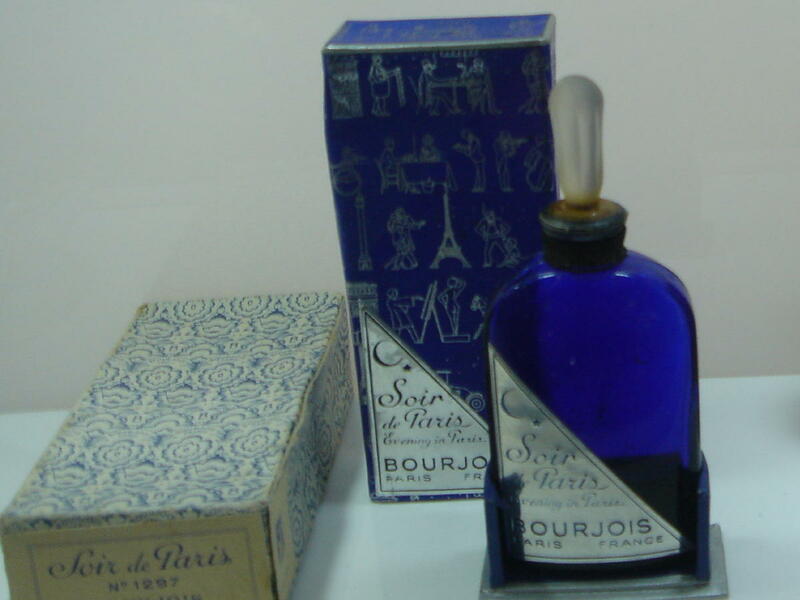 The background to the story is that I was sending a swapper 20ml of Marc Jacobs Fig Splash in return for 10ml of Maison Kurkdjian APOM pour femme. As I had trouble figuring out what extras the swapper might like, I decided to send her 30ml of the Marc Jacobs instead, not least because I had a 30ml atomiser going spare. 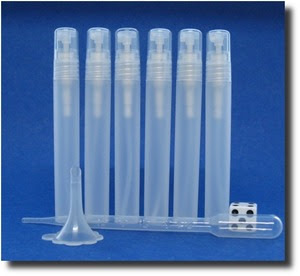 When my package arrived containing the APOM, I was crestfallen to note that the atomiser used was only an 8ml, not a 10ml one. In fairness, it is an easy mistake to make, as the two atomisers look pretty similar, except that the 10ml one is taller than the 8ml by 3/4". I wrestled long and hard with the issue, wondering whether it would be petty of me to mention the shortfall. And yet my 7.5ml of APOM (slightly underfilled to avoid spillages in transit) was just not "sitting well" with me, and I knew that if I didn't speak up, the matter would continue to fester. It might even end up spoiling my enjoyment of the perfume itself, because I would now associate it with being shortchanged. So I wrote to the swapper and explained the situation, taking care to point out that I was sure it was an honest misunderstanding, as the atomisers are alike, and the exact capacity is not printed on them - which would be handy, come to think of it. I received a very apologetic reply straight back from the swapper, who was clearly mortified at her mistake. She has relatively few tokens, so is doubtless keen not to blot her copybook at this early stage. She said she would send on the extra 2ml and I thanked her very much. Imagine my surprise when I opened her package the other day to find not only a top up of c3ml of APOM, but a whole stack of other samples. She had in fact gone completely overboard in her retrospective generosity, and now I was the one who felt hugely indebted. I am very pleased about the Oriental Lounge as I didn't have a sample of that, and while the others strike me as a fairly mixed bunch - including a few very obscure things by the looks of it - in terms of sheer quantity, I feel completely overwhelmed! "If your enemy is hungry, feed him. If he is thirsty, give him a drink. If you do this, you will heap burning coals on his head." But on balance I think she is probably just embarrassed and trying to rectify an awkward situation, and most importantly head off the threat of the dreaded "negative token". Not that it ever entered my head to award her one of those, as I don't believe for a minute that there was any deliberate plan to diddle me. Yes, I reached for a smelling strip from my recent German sampling session for the very specific purpose of reaching elusive bits of encrusted foodstuffs caught in the interstices around the fridge shelves. In theory these heavy glass sheets can be removed, giving you complete access to the rear wall and sides of the fridge. 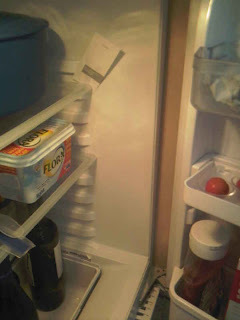 However, as with metal oven racks, I find that once you take the shelves out they are the very devil to shove back in. The degree of aperture is awkward and there simply doesn't seem to be enough manoeuvring space for the re-insertion procedure without taking the whole door off or guillotining yourself at an angle of 45 degrees. But a tester strip is firm and slim enough to slide down behind the shelves and fetch out those little specks of food that resist capture by all other means. Flushed with success, I began to wonder to what other handy uses I could put these versatile bits of paper (preferably unused strips, obviously, but there is always the unperfumed end if needs must). Well, obvious applications would be bookmarks, by which I mean in a conscious "place recording" sense, as opposed to slipping the strips anywhere into a book to preserve the integrity of their scent, as discussed in my earlier post on this topic. Then I have often resorted to tester strips (some of which will inevitably be lurking at the bottom of my handbag at any given time) to scribble notes on, though space constraints make this a far from ideal format. Why. only the other day at the Frankfurt Hauptbahnhof I managed to transcribe the whole of the contents page of "Bass Professor" and "Bass Quarterly" on to two thin and rather flimsy blotters, to help Mr Bonkers make an informed choice when asking me to custom purchase a copy of either magazine (he went for both). Now if the strips were a bit wider - more like the ones in Chanel boutiques, or possibly even bigger still - they could be perfectly serviceable for capturing spiders, along similar lines to the hotel barman last week with his tooth mug and paper coaster. Also, I have eaten yoghurt on work trips with the back end of a toothbrush and even a comb (less successfully, it must be said). Tester strips as cutlery might be pushing it a bit, for knowing my luck I would get a mouthful of yoghurt, soggy card and the latest Opium flanker (of which more anon). When I went away last weekend, I thought I might have overcooked things again (as is my wont) with the title of my last post, for a train trip between Frankfurt and Berlin sounds on the face of it like a fairly sedate exercise. This was to be supplemented by a little light pootling around these cities on public transport to get to my appointments, which were all with nursing and procurement staff at hospitals. Light pootling? An utterly bonkers and borderline impossible multimodal trip, more like. 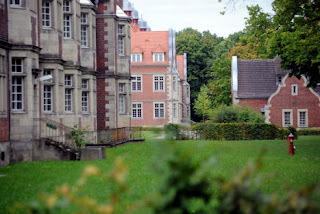 For I had divided my time exactly between the two cities in anticipation of five meetings in each, but in the end the recruitment agency only managed to set up two interviews for me in Frankfurt, and banged the remaining eight into a two day period in Berlin (plus one late evening slot!). Each appointment was one and a half to two hours from the next, which meant some seriously fancy footwork using all the available transport modes to which my day pass entitled me: U-Bahn, S-Bahn, regional train, tram and bus - I rode them all. Yesterday, for example, I took an S-Bahn, then a bus, then another bus, then an S-Bahn, then a tram, then another tram, then an S-Bahn, then two tubes, then two more tubes, then an S-Bahn, then a regional express train, then a plane, and finally an airport transfer taxi. Oh, and there were some meetings in there too somewhere. This punishing travel schedule meant that sleep and food rather went by the board, and I was typically surviving on 4-6 hours' kip a night, McFish Menus, bags of pretzels (of which I still fail to quite see the point), egg rolls, warm miniature bottles of Sekt, potato crisps (you can have any flavour as long as it is paprika), and the odd croissant snatched from the breakfast table. Well, I use the word "croissant" advisedly, for this particular morning good is not a croissant as we know it and should be approached with caution, even if bearing the label "französischer Art" (French-style), which it very likely won't be. Oh, and a few cups of tea "to go". And I fear there were the inevitable tea issues again on this trip, if anything more acute than usual. My hotel in Frankfurt, for example, had run out of Klassik Tee, perhaps precisely because it WAS a "classic". McDonald's at the Frankfurt Hauptbahnhof had no black tea either, and tried to fob me off with a selection of green and berry-centric varieties, which are not to my liking at all. Then yesterday in a kebab shop in the centre of Berlin I was offered black tea from an urn, which looked characterful, however, the black liquid emitted was so stewed and bitter you could have stood the Berlin wall back up in it. It was at least mercifully cheap. So it gives me great pleasure to give the award for the most anglophiliac purveyor of tea to the Deutsche Bahn, for the buffet on the train to Berlin offered not one but THREE sorts of black tea: Earl Grey, Assam and English Breakfast. I was surreally spoilt for choice! The main downside to hospitals is that they are such large places that reception staff may well not have heard of the person you have come to see. There may not be a telephone directory as such, or if there is, not everyone will necessarily be listed in it. Two reception staff even denied the existence of my respondent point blank, which caused my heart to lurch a little, while two others gave contradictory and airy sets of directions, which had me running round in circles looking for a building that was either up and to the left, or behind and round and to the right, but exactly how far either way was anybody's guess. Most of the time, the person I am meeting comes to the foyer to collect me, or sends an assistant, but here the onus was very much on me to winkle these people out in their far flung buildings. Even though this seems to be general practice for visitors, several nursing staff declared themselves to be astonished that I had a) found their office at all and b) showed up on time. Arriving by bus or tram garnered extra Brownie points for initiative and thrift. 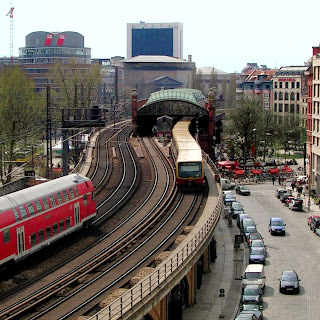 There is one shameful incident to which I should perhaps own up, namely that while the caning of my travel pass in Berlin was legitimate, I did also get caught without a ticket on a short tram journey in Frankfurt. I had attempted to feed a 20 euro note into the automated ticket machine, which was the smallest note I had on me, but to no avail. I tried it facing both ways - and even tried buying a more expensive ticket than I needed - but the machine wasn't having any of it. I decided to chance it on the three stops to the train station, but kept the 20 euro note ostentatiously visible in my hand in case an inspector jumped on. 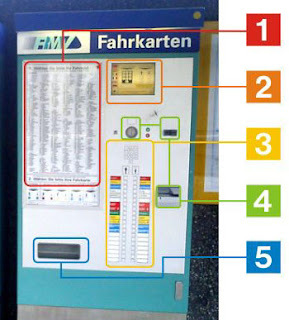 And sure enough, an inspector did get on at the next stop and having heard me out, said that I should not have tried to pay with anything larger than a 10 euro note, as per the illustration of accepted coins and notes displayed on the front panel of the machine (a minor visual detail which had completely escaped my notice). Luckily, he let me off the 40 euro fine as I was "not from Frankfurt". Had he enforced the letter of the law, I would not only not be "from Frankfurt", but not planning to go "to Frankfurt" again any time soon. The perfume aspects of the trip will, as ever, be covered in a separate post. Perfume sniffing was confined to Frankfurt, and to some fairly mainstream outlets at that. 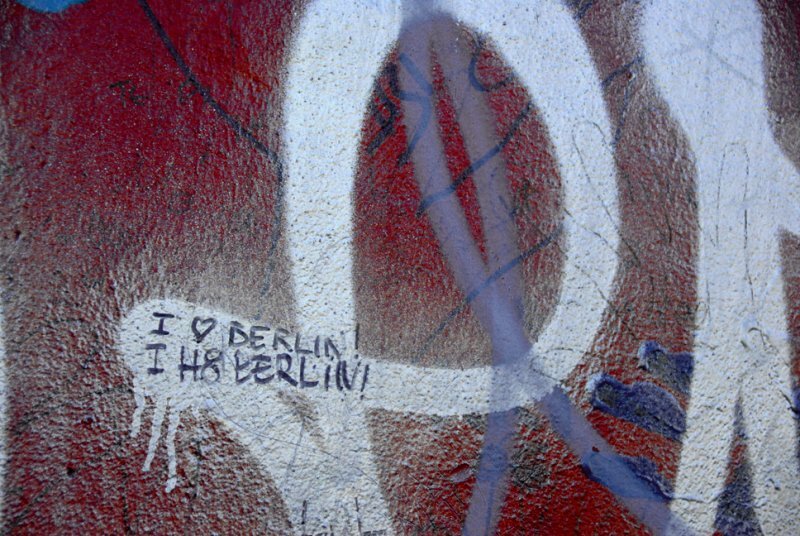 I can't be sure, but I sense Berlin might have been a better hunting ground. 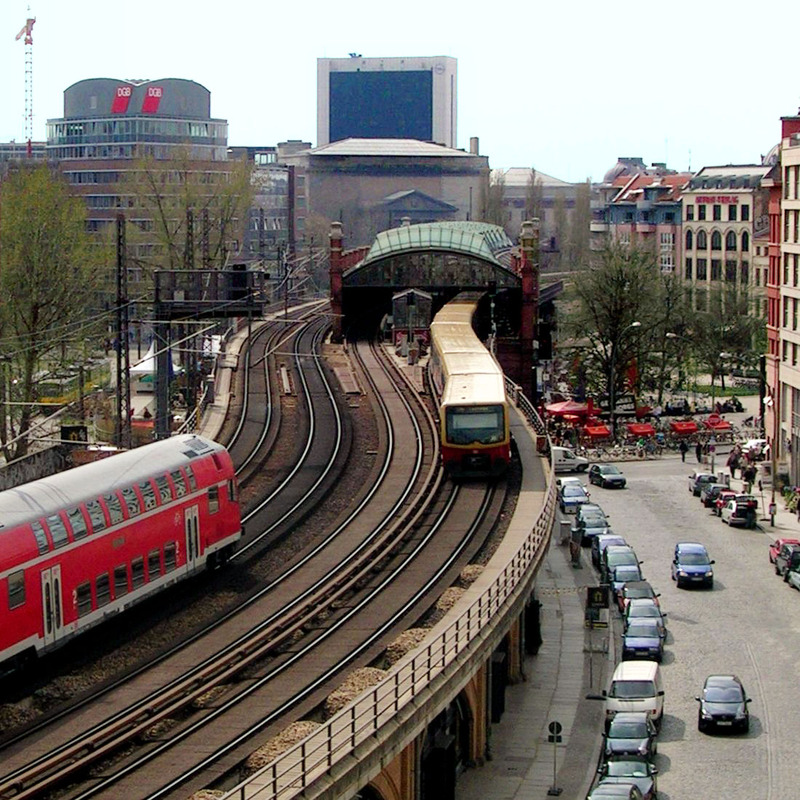 Mind you, I am a huge fan of the city, and my default position is that it is better than anywhere else in Germany for most things. 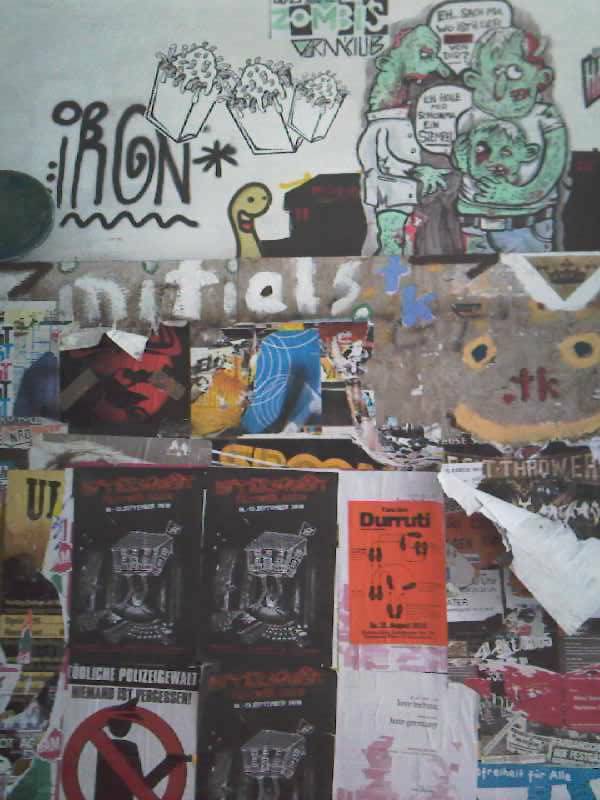 Or let's just say that for graffiti, edgy clubs, wacky clothes shops, atmospheric courtyard cafes and all manner of bizarre and random stuff generally, it is simply unbeatable. 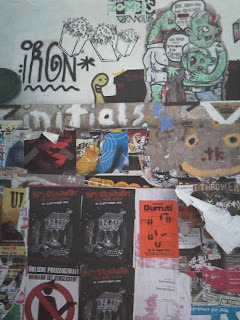 Photo of Hackescher Markt from Wikimedia Commons, photo of egg roll from stadtbaeckerei-gatenbroecker.de, photo of tea from food-shop24.com, photo of hospital from morgenpost.de, photo of ticket machine from trampage.de, graffiti photo my own. Off On A Bonkers Rail Trip...! Bonkers about Perfume will be offline for a week or so, as I am going to Germany again on business. Just two main cities on the itinerary this time - Frankfurt and Berlin - so I shall spare my back (still a bit dicky from the 7000+ miles I drove on the last two trips! ), and "let the train take the strain". German trains are particularly fast, clean and well appointed. Apologies for the lack of accents, but I am against the clock! 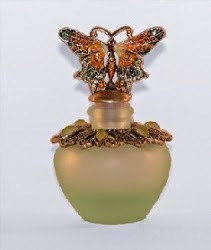 On a whim the other day, I bought this elephant perfume bottle on Ebay. (It is unusual, but doesn't quite qualify as a "bonkers flacon" like this one). Yes, I have a penchant for pachyderms - I own a cuddly toy elephant called Delhi, whom I rescued from a bargain bin at Pforzheim services, and a tiny, bean bag-style elephant called Dansak, who was a souvenir from a holiday in Majorca. "Each bottle is completely hand blown (rather than being blown into a mould, which is not quite the same thing), and each bottle takes approximately 40 minutes to one hour to complete - decorating time is extra." "Everyone who works for us is over school leaving age and the working conditions are good." And it WAS - "copious" doesn't come close to describing the generous wodges of bubblewrap involved, the whole packed snugly in a cardboard box that had once housed 32 Double Deckers (as in the chocolate bar). Just £4.99 + P & P! I have no plans to put perfume in it for the moment. The seal on the stopper doesn't look particularly hermetic and I can just see the elephant making mischief with his trunk. Top photo from phileasfox1's Ebay listing, bottom photo my own.